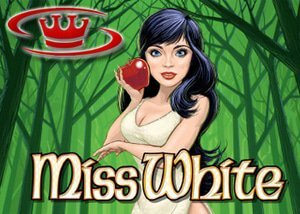 Mr Green and IGT Games have teamed up to add $15,000 to the prizes pool available from the Miss White video slot machine, available through May 4th, 2015. With Mr Green recently entering the Canadian online gambling market, players from coast to coast can take their chances at winning their share of $15,000 that the software developer and casino site have partnered to offer players. The money has been divided into a total of 500 parts for the most dedicated users to spin their way towards winning; 20 prizes of $100, 30 of $75, 100 of $50, 150 of $25, 200 of $10, and one lucky player will walk away with $15,000. Results will be drawn and winners awarded on May 6th, 2015. Spin More With Miss White! Running through May 4, 2015, the more you play, the better your chances to take home bonus cash from this five reel, 1024 way to win video slot machine that pays an updated tribute to the classic story of Snow White and the Seven Dwarfs. There's no limit to how many bites you can take from this apple since the poison has been replaced with the sweet taste of more and more chances to win! For every wager built up on the game of ten, one entry into the draw will be rewarded towards the grand finale. Available on applicable desktop and mobile casino sites and apps, this limited time offer is now open to Canadian players. There's still lots of time to get rolling through the forest with Miss White, available at Mr Green. All new players to the site are welcomed with $350 and 110 Free Spins for the first four deposits made to their account; a great way to get rolling towards the grand finale prize!